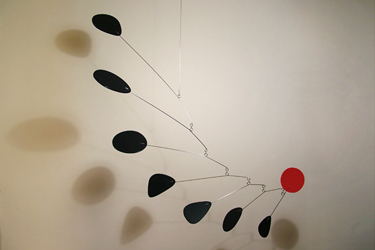 A beautiful mobile with a lot of movement. Each bar has a loop that gives 1/3 more distance in turning. Shapes are all different from each other small to large, and tilted slightly for underneath views. Nice hung in an outside garden. Video: Allure Mobile in Motion!